In india we are fortunate to have a variety of fruits available to us, if you are travelling to India you must try one of these seasonal fruits available here. Fruits should be an important part of our daily diet. They contain vitamins and minerals, and plant chemicals called phytochemicals. Fruit can help to protect the body against diseases including diabetes, stroke, heart disease, some cancers and high blood pressure or hypertension. 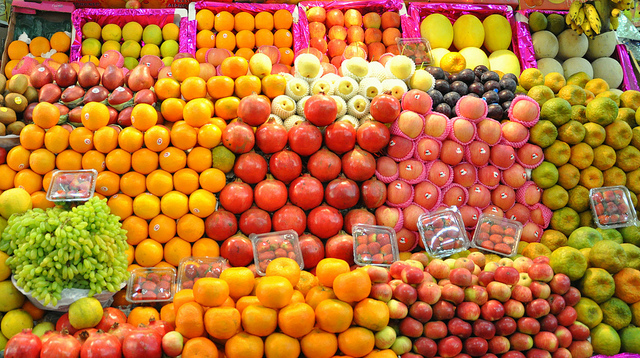 In todays world of heavily processed food – fruits are absent from most of our diets. In india we are fortunate to have a variety of fruits available to us, if you are travelling to India and any of the seasonal fruits are available then you must try them. There is a belief in India that one should eat seasonal fruits and vegetables because nature follows a cycle and makes available food that is best for each season. 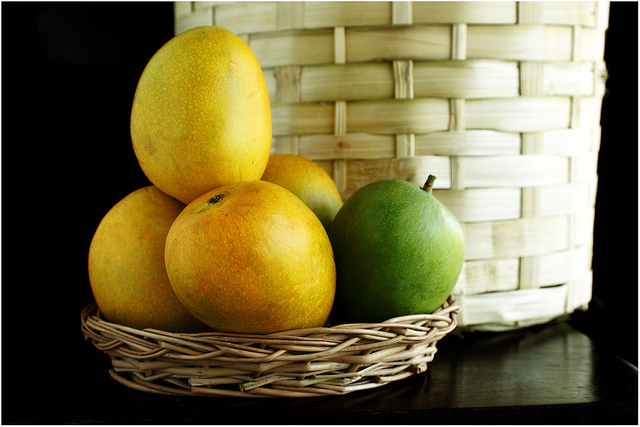 Let us have a look at some of the most delicious and nutrient rich fruits available in India. 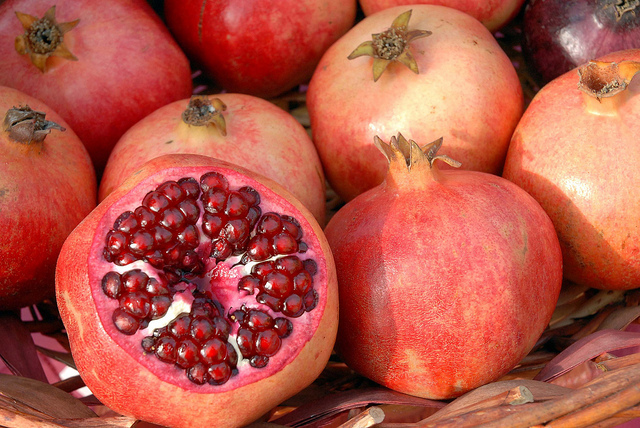 A glass of pomegranate juice has more antioxidants than red wine, green tea, blueberries, and cranberries. It is also a rich source of Vitamin C , B & folic acid, potassium and iron. The seeds of the fruit are a rich source of dietary fiber. They’ve been known to reduce risk of heart disease & hypertension, increase resistance to viral infections. They find mention in many ancient civilisations including Greek, Roman and Indian. It is consumed often as fresh juice or eaten along with the seeds. One of the interesting facts about this fruit is that it is one of the least chemically treated and sprayed fruits. Protecting this fruit does not require excessive use of chemical pesticides as in case of grapes and apples. Guava is typically eaten raw, cut into quarters or eaten like an apple. In India we also eats it with a little bit of salt and pepper or mix of spices. It is a rich source of dietary fiber and Vitamin A. 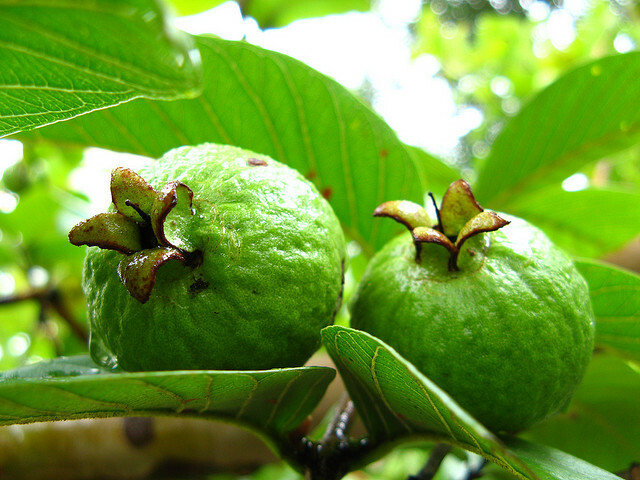 Single Guava has about four times the Vitamin C as an Orange! Health benefits include resistance to common cold and cough, better eyesight and maintains blood pressure. 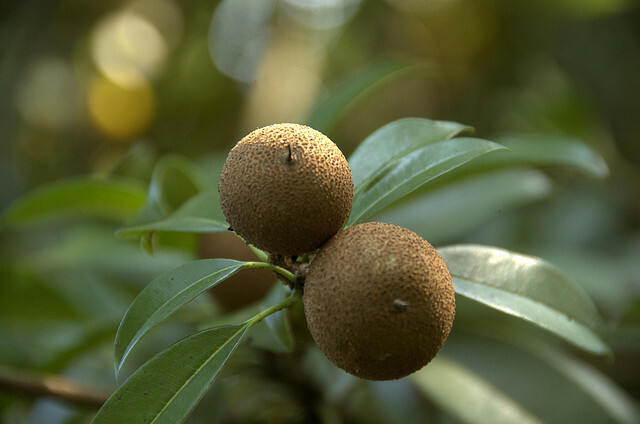 The sapota fruit has its origin in the rain forests of Central America, but it is easily available in India. The fruit is a round or oval-shaped berry, it has black shiny bean-like seeds in the centre. When ripened the flesh acquires a brown color. It has a smooth and grainy texture with a sweet and musky flavor. The fruit is calorie rich so has to be consumed with caution, which is hard to do because they are truly delicious! Magnesium contained in sapota is beneficial for blood and blood vessels whereas potassium helps in regulating blood pressure and promoting healthy circulation. High quantity of dietary fiber means it can be used to get relief from constipation. One can consume it as juice or eat the fruit including the skin after removing the seeds. Also known as sharifa or sitaphal is high in calories and natural sugars. 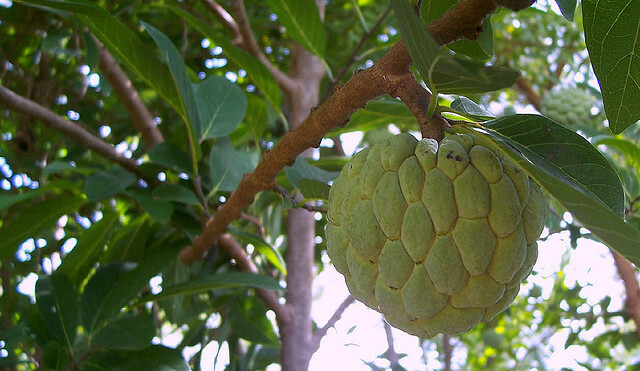 Most commonly consumed as smoothies, shakes or natural ice-creams, custard apples also exert numerous health benefits. These fruits are stored with various essential vitamins namely vitamin C and vitamin A that help improve your eyesight and make your eyes sharper and brighter. These fruits are rich in copper and dietary fiber, both of which are essential to keeping your digestive tract healthy. Mango is the national fruit of India, we love our mangoes and it certainly is better than Mangoes anywhere else in the world. We have the most amazing varieties of Mangoes, they grow all over the country and are consumed in every imaginable way possible. Some of the most popular varieties are Alphonso, Badami, Chaunsa, Dasheri, Kesar, Neelam, Safeda, Sindura, Totapuri and Banganpalli. From unripened mangoes we make pickles, chutneys, make juices and use them as seasoning. From ripe Mangoes we make juices, sweet dishes and curries. Mango is a national obsession! Mango is rich in pre-biotic dietary fiber, vitamins, minerals, and poly-phenolic flavonoid antioxidant compounds.